This is the oath of enlistment that every person who joins any of the five branches of The United States military takes when enlisting. Sworn to defend the Constitution against all enemies with faith and allegiance to the Constitution which equates to the people of The United States. The only mention of the President who is the Commander and Chief of the military is to obey the orders issued by the CIC and their superior officers in accordance to the chain of command. But according to the arrogant one, Barack Obama, the brave souls of The United States military fight on HIS behalf not the people of this Nation. Obama made this ridiculous assertion during his equally controversial ABC interview where he reversed his stand on gay marriage which as we all know was likely his stance all along but now having to react to the bumblings of his VP, Obama has been forced to tell the truth about at least one thing during his term as President. When defending his reversal of the Clinton administrations policy of, "don't ask, don't tell," for gays in the military Obama characterized the men and women of our military as, “those soldiers or airmen or marines or sailors who are out there fighting on my behalf.” The arrogance of Barack Obama seems to have no end since he actually thinks the best and bravest of our Nation who serve in our military fight on HIS behalf. These exceptional men and women voluntarily fight to defend as it states in their oath, "the Constitution of The United States, " and as such protect the people in whom the Constitution represents. I dare say that especially with Obama as Commander in Chief if our brave men and women were required to fight on his behalf I seriously doubt they would fight at all. The assertion that our military is fighting on behalf of Obama extends his ridiculous arrogance to absolute stupidity as stating they fight on his behalf gives the impression that if they were not available Obama himself would be standing a post and fighting. 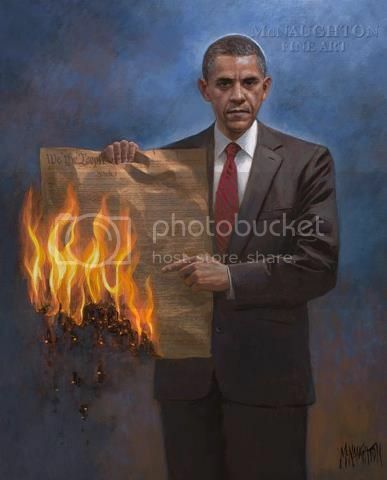 The only fight Obama understands and is willing to make is AGAINST the very Constitution he too has been sworn to defend since his policy and agenda have been in complete violation of the Constitution since the first day he took office. Our brave men and women in uniform are the most exceptional people in the world and they willingly stand a post everyday defending freedom on behalf of the people of The United States who are the Constitution. They willingly sacrifice themselves for that purpose and many give the, "last full measure of devotion," to insure that our Nation remains safe. Obama may be their Commander In Chief by Constitutional decree but they DO NOT fight on his behalf.